Build your dream home in the Elk Meadows Subdivision on Discovery Lane! 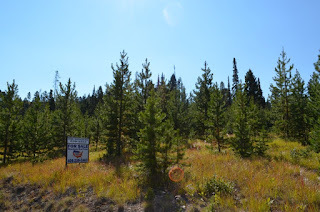 This 2.2 acre property covered in Lodge-Pole Pine faces Discovery Ski Basin. Located halfway between the historic mining towns of Anaconda, Montana and Philipsburg, Montana, you won`t run out of recreational activities. Fishing, hunting, snowmobiling, skiing, waterskiing, boating, golfing, hiking and 4-wheeling are just a few to mention. Contact Dauenhauer Real Estate - Northwest National today at 406-859-5563 for more information and to schedule a viewing. Possible Owner Financing. Listed at $65,000.